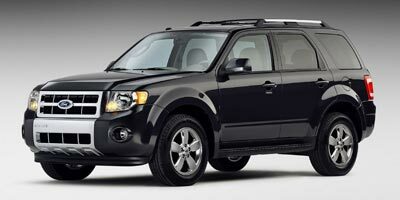 The 2009 Ford Escape is a refresh of the new-for-2008 model. The company’s smallest SUV is solidly constructed and makes no pretenses about being kin to the larger Explorer. While other small SUVs may drive more like their sedan cousins, the Escape is 100 percent rugged, despite its unibody construction. The Escape is available with a number of engine and drivetrain options, from an economical four-cylinder to a more robust V-6. Our favorite version is the hybrid, which manages to get a cool 34 mpg in the city thanks to an electric motor that powers the vehicle up to 25 mph, making it one of the most eco-friendly SUVs on the planet. Get one in green and call it Kermit. A comfortable command position and plenty of power when equipped with the 3.0-liter V-6, all wrapped in a compact SUV package. The hybrid’s 2.3-liter four-cylinder produces phenomenal gas mileage while still providing the size and space you expect from an SUV. We wish the Escape was more car-like in its interior as the rugged Tonka toy look seems out of place in a hybrid, the instrument panel is well constructed but some buttons are placed too low in the dash, causing the driver to spend more time looking for the controls and less time focusing on the road. A sporty SUV this is not, but we found the Escape to perform well during both urban commutes and long freeway hauls. The ride is somewhat stiff and, with the large wheels and tires, you can feel all the bumps expected from an SUV, even a small one. Still, the seats are comfortable and the cabin offers a large amount of leg and headroom. The 3.0-liter V-6 dishes out plenty of power for such a small vehicle, but the four-cylinder and hybrid engines sometimes groan under the weight of the SUV. It’s a small price to pay for such great gas mileage. Ford offers a number of engines and transmissions for the Escape, including a peppy 2.5-liter inline four-cylinder engine that delivers 171 horsepower and 171 lb-ft of torque. The hybrid version adds a 93 horsepower Atkinson cycle electric motor to the four-banger. A 3.0-liter V-6 engine delivers 240 horsepower and is standard in Limited trim or available as an option on the XLT model. Transmissions include a 6-speed automatic, a 5-speed manual and, on the hybrid, a Continuously Variable Transmission (CVT). 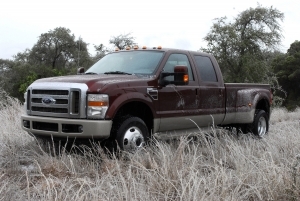 A leather comfort package is available for XLT and Limited models, and now, the hybrid model. All Escapes come with electronic power steering, remote keyless entry, power door locks and power windows. Outside, pop up rear hatch glass is new for 2009 and a power moonroof is available for XLT and Limited trims. We also recommend the SIRIUS Travel Link, the new benchmark for vehicle navigation systems. Ford has outfitted the Escape with a number of technology options. An auxiliary audio jack comes standard, as does an AM/FM CD player with MP3 capability. You can opt for a 6-disc CD changer or an Audiophile sound system that includes an 8-inch subwoofer. DVD navigation and SIRIUS satellite radio are also available. Again, the SIRIUS Travel Link system offers a compelling tech option. The available hybrid delivers pretty amazing fuel economy for an SUV, with up to 34 mpg city and 30 mpg highway. The 2.3-liter four-cylinder engine is no slouch either, delivering 22 mpg city, 28 mpg highway in manual, front-wheel drive form. The automatic, front-wheel drive version gets 20 mpg city, 26 mpg highway, while the automatic all-wheel drive variety manages a respectable 19 mpg city, 24 mpg highway. The 3.0-liter V-6 engine, while not as fuel sipping, still delivers 18 mpg city, 24 mpg highway in front-wheel drive and 17 mpg city, 22 mpg highway, all-wheel drive. The hybrid is rated SULEV-II and AT-PZEV and the Escape is yet to be rated. The front seats are remarkably comfortable and back seat area is spacious enough for two full-sized adults to sit comfortably, but three may be a tighter fit. The rugged interior styling is cued from the full-sized Explorer and F-150. While we like the industrial look on a pick-up, we wish the Escape had more luxe styling cues, a la the Flex, that said, it will be easy as pie to clean the interior of the Escape. Look for greener seating and fabrics on the base Escape Hybrid. The Escape is a good-looking small SUV, rugged yet elegantly shaped. The design bits borrowed from its larger siblings work well and, while this SUV has always been a looker, the cleanly angled hood and broad nose redesign of 2008 deliver a tougher, more masculine appearance than previous generations. The base XLS Escape starts at $22,675, the XLT hits $24,480 and the fully decked-out Limited goes up to $26.945. The hybrid version comes in at a much steeper $30,055. Competition is fierce in the compact SUV segment, with longstanding rivals like Honda’s CR-V at $23,395, Kia Rondo at $21,295 and Toyota’s RAV4 at $21,500 providing most of the heat. While less prominent, the Chevrolet Equinox at $24,314 is also a player here. We think the Escape presents a viable shopping option in the compact SUV market with its mix of engines and trim packages. While we recommend and really like the Hybrid model, almost as compelling is the economical four-cylinder version, which saves on money at the pump and at the dealer.